The ability to nurture is to provide nourishment for sustenance and growth. We nurture that which feeds and furthers the development of ourself, our communities and the Earth. 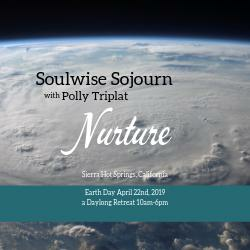 During this daylong Soulwise Sojourn on EarthDay, we will spend time exploring that which nurtures. We dance, we journey, we create.. open to all genders and physical abilities 18 yrs and over. 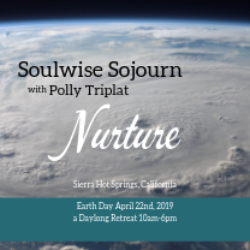 Join Polly Triplat for this daylong journey in the Sierra Valley where we will explore Open Floor movement meditation, shamanic journey work and SoulCollage® to open our awareness to our soul’s purpose and empower each other to be fully present to the gifts we offer the world. We will have time to enjoy the healing waters and lands of Sierra Hot Springs.